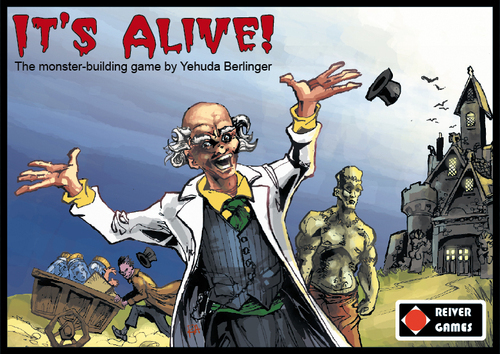 Over the holidays I (Jeremiah) was sent a copy of It’s Alive! and Firestone was sent an iOS version of the same game. 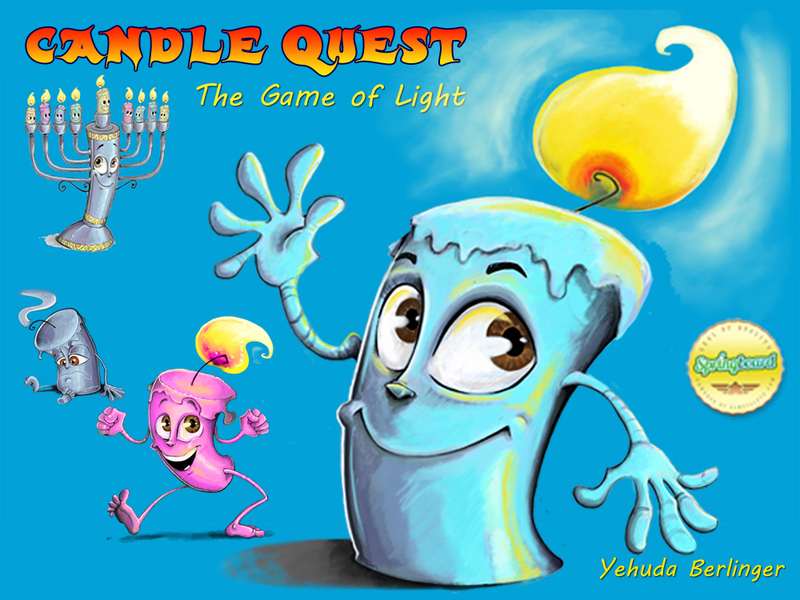 Gilead Games recently ended a Kickstarter campaign (unsuccessfully, unfortunately) to retheme/revert the game back to its original theme of collecting menorah candles instead of the cartooney gruesomeness of the It’s Alive! theme. The gameplay and rules are quite simple and easy to grasp. In the It’s Alive! 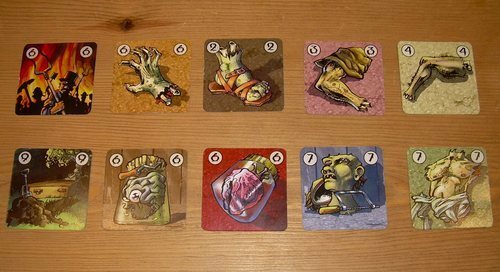 version of the game, players are mad scientists trying to bring to life their Frankenstienish creation by collecting 8 different body parts, represented by 8 different cards. The players collect their cards and store their money in secrecy behind a screen that unfolds to stand up in front of the player’s mat. The player turn goes something like this: Flip a card over, and make a decision to either buy it, sell it (For half of it’s face value.) or auction it. If the player buys it, they pay money to the bank, and add the card to their mat; if they sell it, they take their payment from the bank and place the card in front of their screen. This card can now be chosen and subsequently bought, sold, or auctioned by the other players instead of turning one over from the deck. The heart of the gameplay really lies in the auctioning of the cards. If a player decides to auction a card, they name a starting bid (which they will pay and keep the card if no one else bids higher!) and each player then gets to bid once going in counterclockwise turns. When the last player has bid, whoever bid the highest gets the card, and the auctioneer gets the money—unless the auctioneer wins it; then the bank gets the cash! These auctions can serve multiple needs. Starting a low bid on a card that you think no one else needs can in turn score you a pretty good deal on a card late in the game. But starting a bid at about half or a little higher of a card’s face value can give someone else a deal, but get you more money than just selling it outright. Different card types have several different values, depending on which one you turned up, which also comes into play as everyone is bidding. The game ends when one player collects all eight body-part cards, and that player wins. There is an advance/variant win condition in which players add up the face value of their cards and whoever has the highest valued collection wins. Jeremiah—I have to say I really enjoyed the game pretty much from the get go, the wheeling and dealing at the table gets to be pretty fun, I really enjoyed the interaction between players. The rules and mechanics of the game seem to set the stage for player interaction and then get out of the way while players hash out their business with one another. Firestone—I agree. This is an underappreciated filler, I think. Every time we’ve played it in my group I’ve enjoyed it—but for some reason I don’t think about pulling this one out when we need a filler. Jeremiah—At face value the It’s Alive! theme is quite gruesome, and the text of the rules stating that a “gruesome gentleman” is bringing you body parts that he’s digging up and selling to you is not for the faint of heart. But the artwork isn’t terribly offensive. It’s definitely teen safe, but I did cringe every time my 4- and 6-year-olds came over to the table to see what we were playing. Firestone—Yeah, my game group has no problem with the theme, but as fun as this is, it’s just not coming out with the kids—or even nongaming adult friends. Like it or not, theme can make or break a game, and with some people, the It’s Alive! theme would break it. Jeremiah—When it’s all said and done, I’ve already included this game into my “must bring” bag for parties and game nights. 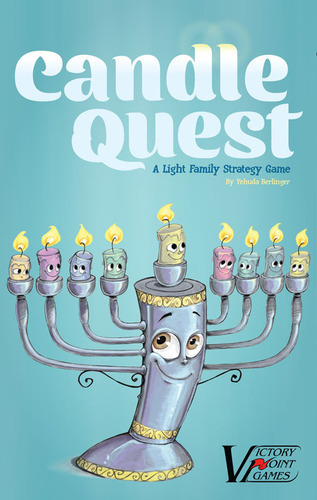 It plays fast making it a perfect filler, and it’s really easy to learn making it a great gateway game for those who aren’t deep into gaming, however the interaction and strategy make it a challenge for gamers of any level, and age! Firestone—And the iOS version is fun, too. It plays just like the face-to-face game, and is a good implementation.